Crucial expertise. Crucial compatibility. Crucial reliability. Crucial commitment. Don’t settle for anything less. Memory and storage are crucial – your system won’t work without them. At Crucial, we understand that it's critical that you get the parts that will work — and last — in your systems. That's why we sell the same top-quality memory that the world's leading computer makers install in their systems. As a brand of Micron, one of the largest memory manufacturers in the world, we bring you the quality and expertise that’s been built into new computers and servers for 35 years and counting. You’ll notice the difference. Save money and maximize the performance of your systems by creating an account that unlocks exclusive benefits for resellers, business customers, government agencies, school districts, and higher education. 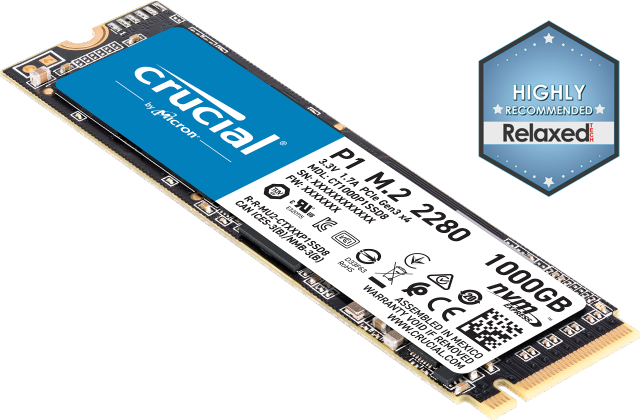 Whether you, or your customers, need memory for a vast network of servers at your multi-national corporation or just for the one desktop that you use to run your home business, your upgrade has to perform correctly from the moment it's installed. After all, you depend on your computer system to stay in business, and every second that your system is down costs you money. Our industry-leading compatibility tools have been used over 25 million times and map compatible products to over 100,000 systems. In 60 seconds or less, find the right memory and SSD for almost any system and get instant performance that’s built to last. Whether you're purchasing 5,000 upgrades for a university or just one for a pre-school classroom, shopping at Crucial.com can make the process smoother. At Crucial, we have an entire team dedicated solely to making sure we're doing all we can to meet the unique needs of government and education customers like you. Crucial products are tested to the industry’s most stringent standards, and provide the speed and security your systems need. 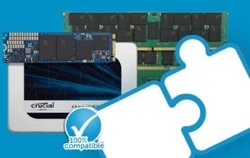 From top-level hardware encryption on SSDs to our unique 34-stage server memory manufacturing process and more, get the proven quality and reliability that only comes from a major memory manufacturer. The benefits of creating an online account. These benefits are not available to guest checkout orders and are not applied to previous guest orders. Ready to create an account? Click the button and start benefitting by extending the life of your systems and your budget. The best way to order from us is online, using your account login and our compatibility tools. We understand that some customers prefer to order over the phone or submit purchase orders – we’re happy to help either way. Crucial’s terms and conditions prevail in all orders and can be found here. We offer a variety of payment options ranging from traditional credit card orders to PayPal and wire transfers. Crucial accepts VISA, MasterCard, Discover, and American Express. All credit card transactions are completed over secure connections and are safe and worry-free. We won’t charge your card until your order ships. Net 30 terms are only available to qualified business, resale, and Gov/Ed customers with a crucial.com account. A regular sales history and qualifying spend may be required before Net 30 terms will be considered. order will be canceled if we do not receive your payment within 10 business days.In choosing wire transfer as your payment method, your bank will charge you a fee to process your wire. Please add this amount to the cost of your order. Not calculating this cost could delay or possibly cancel your order. The order is shipped to a state where we do not have a taxable presence. Sales tax is typically based on the Ship-To address on the order. If you live in and have your order billed to a non-taxable state, but are having your parts shipped to a taxable state, tax will be added to your order. The order is for a non-profit business entity or organization. Your order is tax-exempt if your business entity or organization is considered tax-exempt by your state, and you have provided Crucial with a completed exemption certificate or other documentation allowed by your state tax authorities. The order is for a state/local government or an educational institution.Your order is tax-exempt if your Gov/Ed agency or institution is considered tax exempt by your state, and you have provided Crucial with a completed exemption certificate or other documentation allowed by your state tax authorities. Examples of typically exempt Gov/Ed entities include state/county/city governments, K-12 schools, universities, and libraries. Not all states exempt these entities, so you should check with your state tax authorities to determine if you qualify for an exempt purchase. Fax exemption certificates along with your first "Web order request number" to (208) 363-5560. You are purchasing for official federal government uses. The federal government is exempt from state sales taxes. There are exceptions to this rule determined by who actually pays for the item. There can also be special rules regarding contractors for the federal government. You should consult your tax advisor or state tax authorities if you have questions relating to federal government contractors. There are no exceptions to the requirement to pay sales tax unless a purchaser fits one of the above categories. If there are questions about documentation, contact Crucial Sales or your state tax authorities.